Paul Daley and Nate were expected to headline the BAMMA 8 fight card on Dec. 10 at The Capital FM Arena in Nottingham, England, but the process of putting the fight together took too long. Daley plans to sit out the rest of the 2011 following his Oct. 21 bout with Luigi Fioravanti in the Canadian Ringside MMA promotion. The fight with Fioravanti will be Daley’s fifth in 2011 and sixth in the last calendar year, and he’s looking forward to some time off. “This will be 100-percent my last fight of the year,” he said. But the British welterweight is disappointed that he isn’t going to get to face Marquardt in December in his hometown. “I got up for it. It’s a huge fight for myself. It’s a huge fight my hometown as well. I started planning camp. We planned out how we were going to train and how we were going to split everything up. This would have been one of the most intense and hard-focused training camps I would have had,” said Daley. 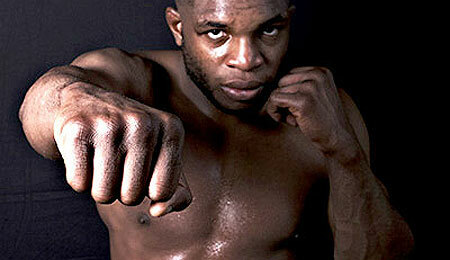 Daley is optimistic the match-up with Marquardt can happen sometime in 2012 and hopes it can be for the BAMMA title. “It’s a fight that can still happen, so hopefully next year, depending on where I’m at and how things work out, it can be a fight we can do next year, hopefully here in the U.K.,” he said. 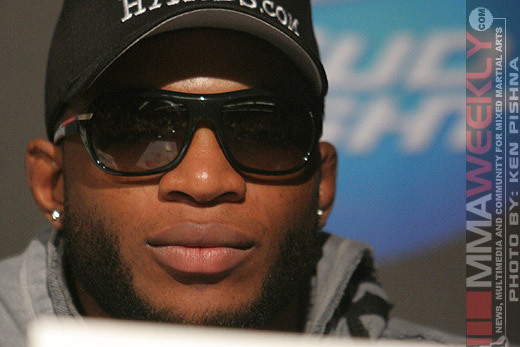 Daley will have to wait and see what Strikeforce has in store for him in 2012. He is still under a Strikeforce contract. He’s appreciative of Strikeforce’s cooperation in allowing him to take fights outside of the organization.